“What’s today?” cried Scrooge, calling downward to a boy in Sunday clothes. I wrote a book. An actual book. Well, it’s a novella–that no man’s land between full fledged novel and short story. It’s called The Black God’s Drums. And it debuts in one week. I thought it might be important that I tell people about it. That amazing cover is courtesy of artist Chris McGrath. 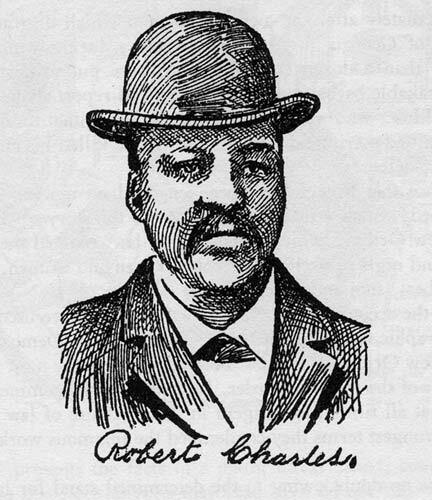 In 1900 a black laborer named Robert Charles set off a massive manhunt after an altercation with several New Orleans police officers. Before all was done, Charles would shoot well over 20 whites sent to apprehend him, killing several. Altogether, 28 people (the exact number is truly unknown) would die in riots, including Charles, who made a last stand in a burning building. The violence that surrounded him continued to swirl and claim others even after his death. Previously unknown, the last turbulent days of Charles life would make him a monster to many and a folk hero to others. For blues artists he became one of the legendary “bad men”–those near mythic black personas of superhuman capabilities whose defiance of white authority was both frightening, dangerous and captivating all at once. He even had a ballad written in his honor. The famed Jelly Roll Morton would relate his own experience of the event in an oral tale to musicologist and archivist Alan Lomax, tying Robert Charles to an influential moment in the creation and dispersal of American Jazz.